There are hundred of billions of stars in our galaxy, and the majority are tiny Red Dwarfs, much smaller and cooler than our Sun. What are the chances that life exist around these mysterious and violent stars? Find out in April 2018! Get a look at the likelyhood for life around the strange and mysterious Red Dwarf stars that populate 70% of our galactic neighborhood! Get a look at the book that spawned all the others with this chapter overview and sneak peek of Our Cosmic Story and its excerpt! 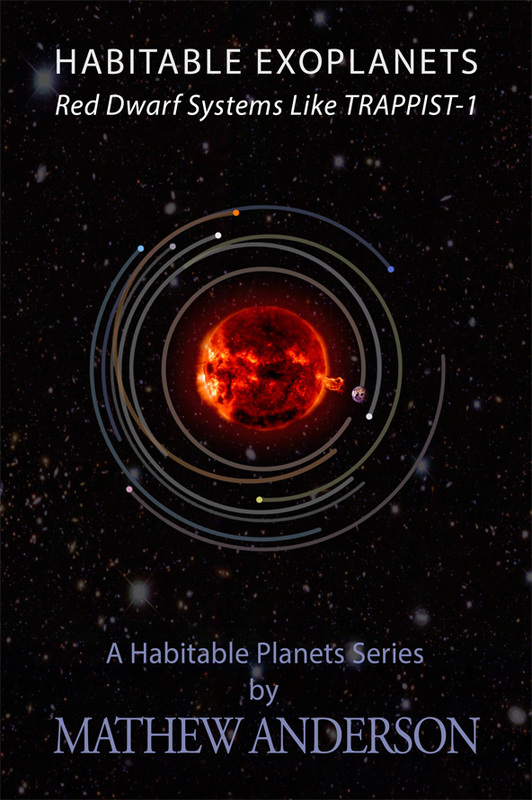 Get the interesting facts on questions like, "How many potentially habitable worlds have we discovered so far?" and, "Where are they?" Life, and civilization that spawns from it, is such a precious and fascinating result of a cosmos that is left guided by the basic laws of physics. Those laws are universal across the whole of existence. If you are interested in the big picture of humanity's place in the cosmos, as well as the potential for civilization elsewhere, I encourage you to read this book on how it all comes together. "I always wanted to know what the limits might be on life around these other stars, and now I'm beginning to understand with this book." An avid reader of scientific journals and articles covering a range of life, civilization, and astronomy topics. Mathew also a community manager in the game industry, speaking at regular industry events. Get a FREE copy of the audiobook version (upon its release later this year) when you signup to receive occasional book updates! Listen in to the weekly podcast! Each week during the book's preview period, we will explore the introduction and first chapter to the book. At the end of the period, not only will you get the complete first part of the book free, but it will go on Amazon.com for complete reading!